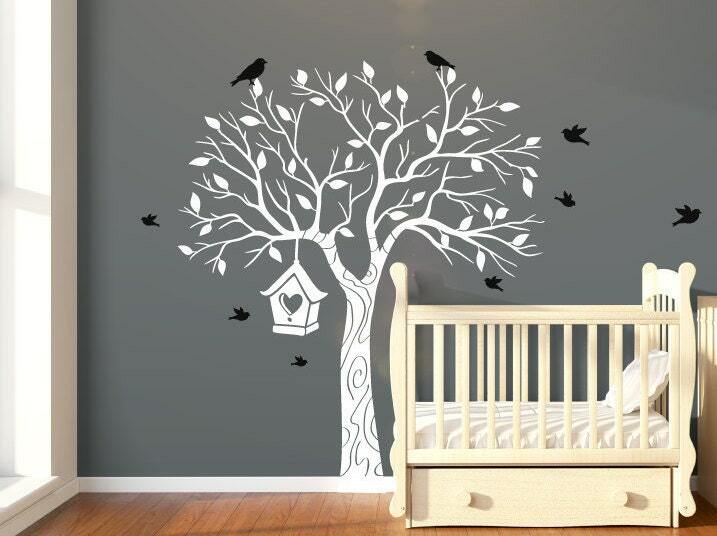 A stunning unisex tree nursery wall decal with flying birds and a hanging bird house. This wall decal is perfect for a nursery or childrens bedroom, and looks absolutely beautiful once applied. Bring a room to life and closer with nature with this tree wall sticker. 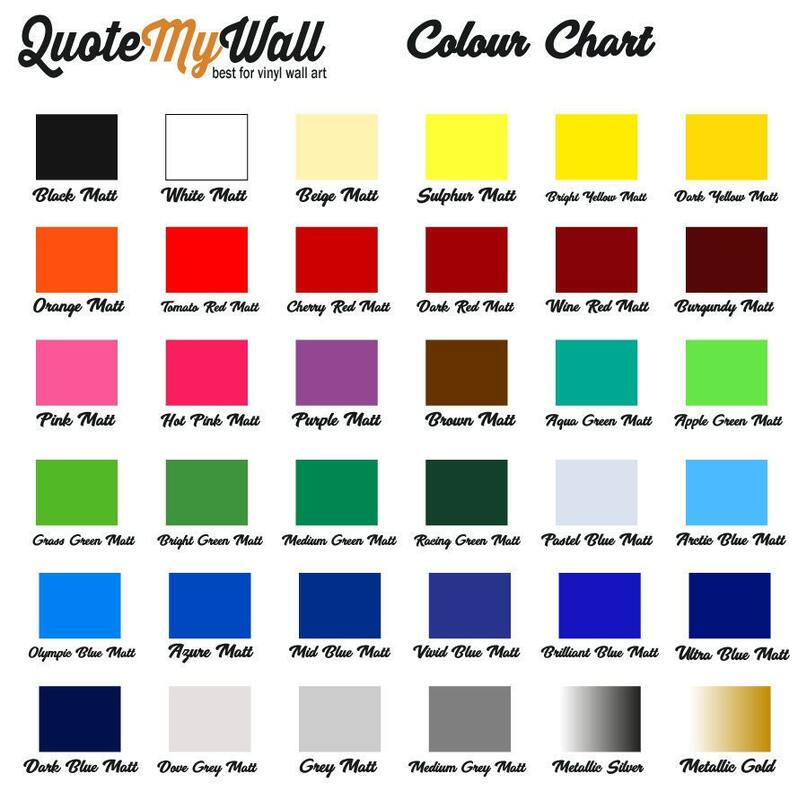 With 36 beautiful colour options, you can choose the colour of each element of the decal, making it perfect for you. Gives any room a great feature and talking point. The trees feature multiple branches, and come with a pack of 9 different bird decals and a hanging bird house witha love heart, to be stuck onto or around the tree however you would like. Available in 2 different sizes - (Sizes given are a rough guideline, but will differ slightly depending how you postion the leaves, birds and house).